Cool trailer – gave me the shivers! Okay – this is awesome. I found this trailer through a writer friend on Twitter. She did the entire trailer using paper cut outs she made, and motion capture photography. It’s erie. It’s compelling. It’s great trailer length. AND I know all I need to know to realize that I want to read the story. WELL DONE!!! Need to research a bit more to see the steam factor, as many romantic shape-shifing paranormals are outside of my heat range, but WELL DONE! you captured my attention, regardless. 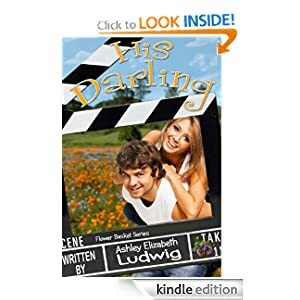 This is a well written tender love story along with a little suspense and intrigue mixed into the plot. The characters are marvelous and you can’t help but like all of them. They are all a part of the story interwoven together. If you are a fan of Historical Western Romance as I am then you will not be the least disappointed in this book. I read this book in one day and it will be one that I will pull out and read again. 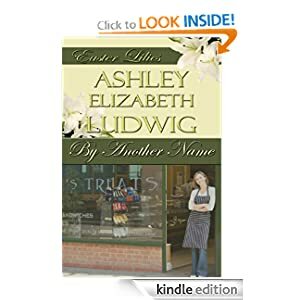 Ms. Ludwig is a most proficient author and the inspiration shows up in her writing. I will be reading more of her books. I’ll blog later why having Sunflower review this book is so meaningful, but THANK YOU!!! Inspirational authors teeter on a fine line in our craft. Authors are taught to “show, not tell” when it comes to story, scene, emotion, and plot. Don’t say someone’s nervous. Show their fingers drumming a table. Sweat pooling in the back of their shirt. Don’t tell us how someone fell in love. Show the fluttering butterfly kiss, the quick-take of breath. The locking of gazes, and two hearts beating the same rhythm. In the same vein, inspirational authors need to be able to show God’s overpowering love for mankind, without telling. We had a thread today in our White Rose Press yahoo group. Authors expounded their opinions on how to do this, and I suspect the conversation is not over. The best part about the question – how do you show not tell when it comes to your character’s arc – and how they reach their happily ever after – which in an inspirational fiction story involves having God be the cornerstone of love. So, that can leave writers sweating. I put that question out to you all – what do you want to see when it comes to sharing the word in fiction? #RWAChange – What is it? How can you get involved? And, should you? So, what is it – and let’s talk about it. #RWAChange was born when we decided to stop with #RWAFail already. We don’t want RWA to fail. Romance Writers of America serves a key purpose for romance writers of every genre, every heat, whether published or not. Ebook, or print. Mass distribution, or POD. We are romance authors and we need to be informed, in the loop, and talking to each other in order to continue to succeed in growing our careers. Thus – the Change. Led by the charge of Dierdre Knight, author and agent — we primarily feel left out. Left out of decision making, due to the greening of our industry. The transition to small presses. The inability to enter in the prestigious RWA Rita contest as a published author. And, therein lies the rub. As the romance writers either dive in (or dip their toes into) the new world of publishing, we just want our founding members to be able to support us. Rate our work. Know that just because a book is POD doesn’t mean you won’t sell enough to qualify as a PAN member (earning over a price point). My publisher took a gamble on my success. They gave me a fantastic editor who worked with me, and has dragged me into good writing habits. 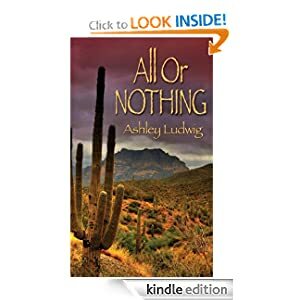 I still shudder from some of the egregious errors I made on All or Nothing, but she did her magic and made it a fun read. I’m getting good reviews. I’d LOVE to enter it into the RITA contest. I cannot. I may enter it into the EPPIE contest. Or may not. But, I’m missing the peer review that I desperately need to keep my head in the game. Build upon my platform, and ultimately succeed in the Romance Marketplace. Are you a reader of romance? A writer of romance? If not, chances are that you know someone who is — so, wear your green. Call to Action from industry professional, Angela James – in a carefully informative letter – PLEASE reply. Plus, you can read a whole breakdown of the happenings at GalleyCat. Join this century, and move with the times. I can’t wait to see what’s next for this exciting group of techno-savvy women, and I’m thrilled to be one of them. Need more reasons to follow Agents/Editors/Publishers who are actively teaching writers about our industry? Here are some tweets quoting Don Maas, via Lit Agent Colleen Lindsay, that should make authors get goosebumps! : Don Maass using Silence of the Lambs of example of great fiction, setting, characters. : Ideas germinate for months or years. Actual first draft about three months. Editing, one for me, a couple w/my editor.